A solar wind stream flowing from the indicated coronal hole should reach Earth on Feb. 8-10. Credit: SDO/AIA. "I could hardly decide which direction to point my camera," he says. 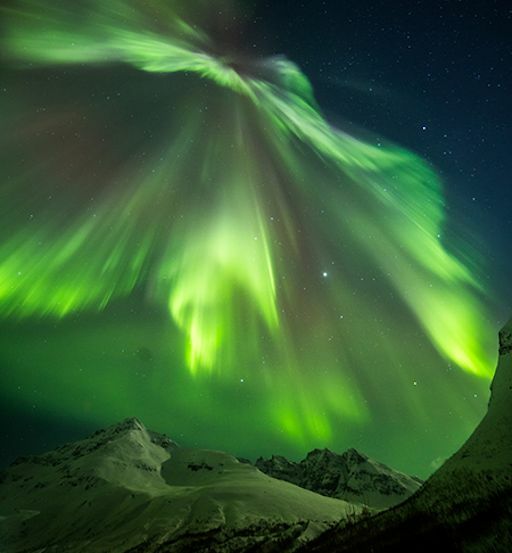 "The sky was filled with light for more than four hours." Mission controllers used the left eye of Curiosity's Mast Camera (Mastcam) to capture the scene about 80 minutes after local sunset in the Dingo Gap. Our planet was the brightest thing in the darkening Martian sky. A human observer with normal vision, if standing on Mars, would have easily seen Earth and the Moon as two distinct "evening stars." 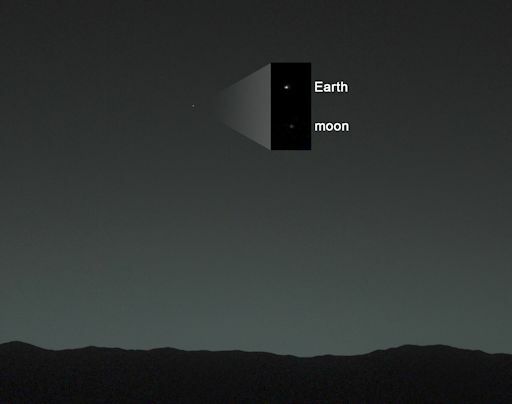 The distance to Earth when Curiosity took the photo was about 99 million miles. For more information about Curiosity's adventures on Mars, visit mars.jpl.nasa.gov. On Feb. 5, 2014, the network reported 2 fireballs. On Feb. 4, 2014, the network reported 6 fireballs. On February 8, 2014 there were potentially hazardous asteroids.